Phillip James Williams, age 82, of Flippin, Arkansas passed away Monday June 11, 2018 at Baxter Regional Medical Center in Mountain Home, Arkansas. Phil was born in Harrison, Arkansas June 22, 1935 to the late Charles and Edith Patton Williams. He was a retired Tech Sgt. from the United States Air Force and then worked security for the VA in Biloxi and Gulfport, Mississippi. 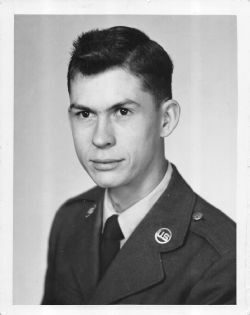 He later worked for the United States Parks Service as a Park Ranger at Buffalo Point near Yellville, Arkansas. Phil is survived by his daughters: Phyllis Williams of Gassville, Arkansas; Amanda James and Annona Williams both of Yellville, Arkansas; Iwana Priest of Aurora, Missouri; and Deanna Scallion of Lampe, Missouri and several grandchildren. He was preceded in death by his parents; his daughter Cindy Aaron; his son Robert Henry James, Jr.; and his sister Peggy Walker. Visitation will be one hour prior to service at 9:00 am at Davidson Cemetery. A graveside service will be 10:00 am Thursday, June 14, 2018 at Davidson Cemetery at Harmon, Arkansas with Gene Carson officiating. Military honors will be provided by the United States Air Force. Arrangements are by Roller-Burns Funeral Home in Yellville, Arkansas.